Landlords depend on us to identify qualified tenants through various methods of marketing. We utilize targeted marketing through direct mailing services. We utilize site signage ranging from window signs to 4'x4' street signs to 20'x4' banners. We do whatever it takes to generate excitement about a property and generate traffic. We also help landlords lease their properties to qualified parties and can assist landlords with screening prospects (i.e. Credit Reports for Personal/ Business) based on our experience. Listings can be featured in our multiple website syndicates and be broadcast emailed to the local and national brokerage community. We have the staffing, technology, and commitment to effectively market your office, retail, and industrial property for lease. 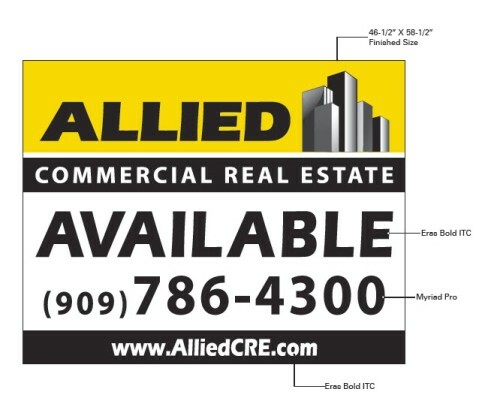 With our true alternatives to traditional marketing methods, Allied offers maximum exposure with a minimum of cost to get your property seen and leased or sold! Allied Commercials syndicated web sites offer property owners an average of 10,000 visitors per week.Our custom designed email marketing campaigns targets professional tenants, sending them our current listings, updated commercial news and market research.